"Optimize Your Anti-Money Laundering Investigation Productivity"
Combating money laundering and effective compliance control requires an explicit strategic consideration, the ultimate goal being compliance and quality controls that are not only effective but are also efficient, smart, and ultimately able to add strategic value. Now, multiply this problem to a global scale – with competing regulatory standards and expectations. Are your risk and compliance solutions meeting these challenges today? Will they handle a future of growth and additional complexity? 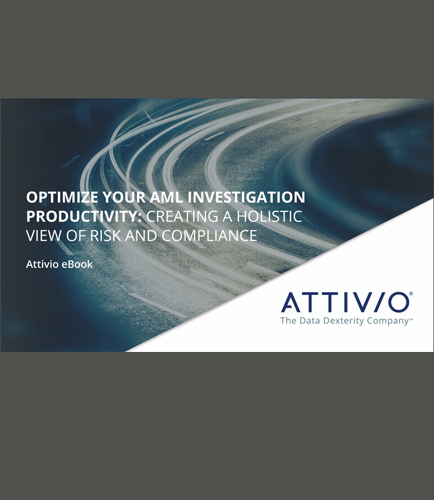 How does your organization maximize the productivity of AML investigators? Are you able to manage new risks and investigation strategies ?